Trained at Kew, Kevin had been a gardener for many years, even working in the garden of Raymond Blanc, the celebrity chef. After Kevin gave up his gardening work, he opened his own nursery and he began propagating various species. His talk was neatly divided into three sections, bulbs, herbaceous plants and trees. Each section was illustrated with full colour photographs showing the colours and details of each plant. Kevin described his love of fritillaries, having been fascinated by their squared markings as a child. He told of his love for the Helwingia plant, an intriguing plant that has an odd fusion of the flower within the leaf. When the flower disappears, a berry forms within the leaf! 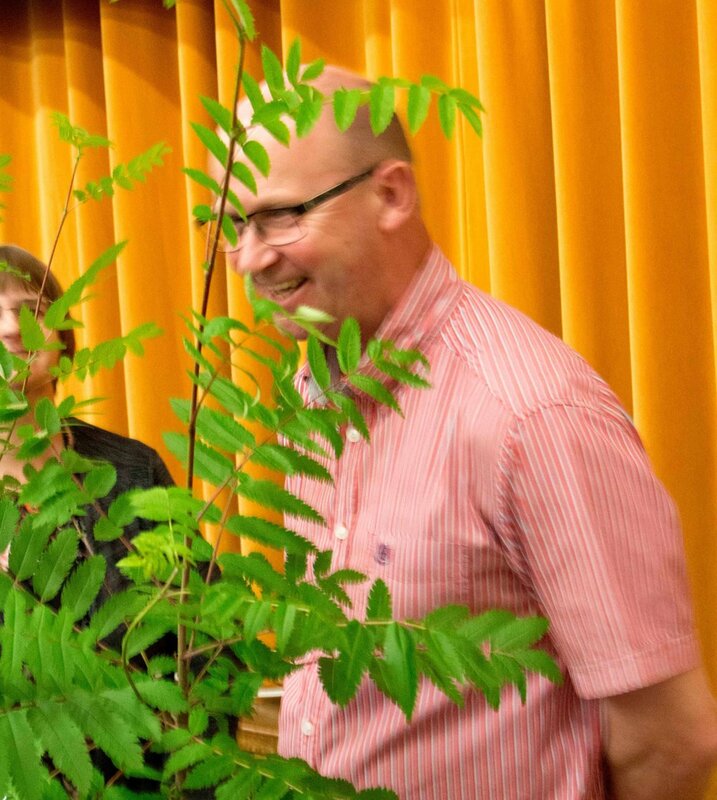 He also talked about the Ginkgo tree, which has a thick leathery leaf and was the food of the dinosaurs. 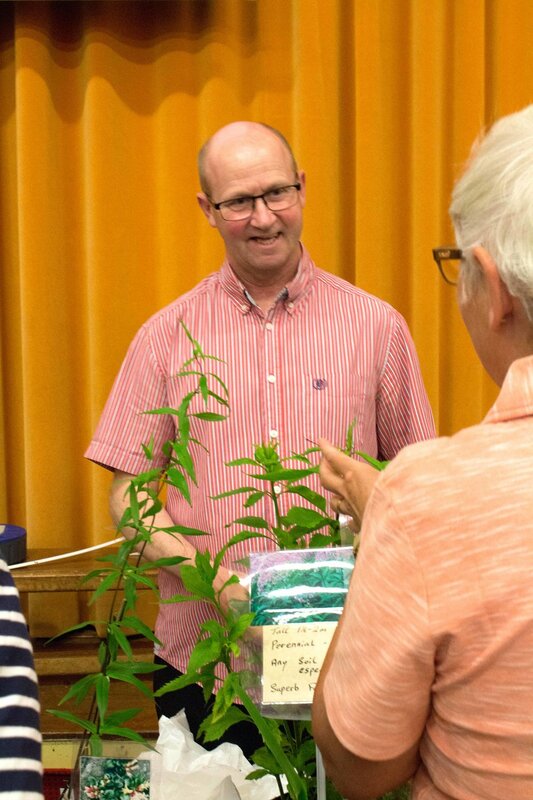 At the end of the talk he gave some practical advice regarding slugs and plant food. 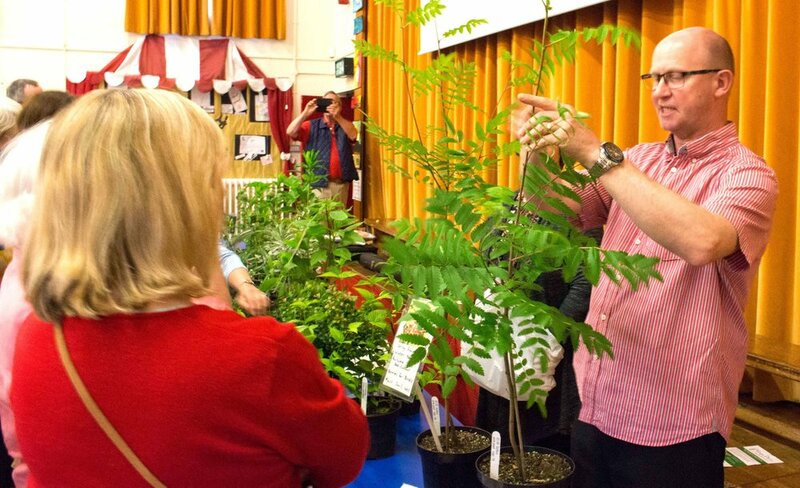 Kevin also brought a selection of plants along with him for the audience to purchase. There was a good turnout at the talk, and members enjoyed tea and biscuits afterwards.